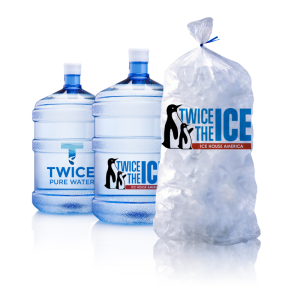 The Twice the Ice mission is to provide the freshest, highest quality ice & water at the best value on the market. This starts with our trademarked Healthwise filtration / purification process, that each ice & water vending machines utilizes to provide a product unmatched in today’s industry. Check out what makes each Healthwise process unique. We are also proud to introduce Twice Pure Water, which amplifies our Healthwise purification process and takes bulk water to a whole new level. Keep an eye out for the Twice Pure logo coming soon to a market near you. One of the benefits of our machines is that you will receive fresh, high quality ice and water vended 24/7. We have three distinct levels of water filtration / purification, which may vary depending on your market. Utilize the chart below to learn about each one. Removes dirt, rust and other solids larger than 5 microns. Eliminates chlorine, organic chemicals and any odors. Softens water by removing minerals such as calcium, magnesium and iron. Purifies water to 99.99% by removing salts and other impurities. Water is chilled in ice room. Eliminates any contaminants such as bacteria and algae. Sterilizes water to ensure safe, purified water. The ease of buying ice & water from our vending machines, is one factor that separates us from the competition. No more lugging heavy bags of ice from the grocery store to your car or straining your back carrying two 5 gallon water jugs across the parking lot. Simply drive up to a Twice the Ice machine, select your product, place in your conveniently located vehicle, and enjoy! The ultimate differentiator for Twice the Ice is our value. We not only bring a high quality product in the most convenient format, but also the highest level of value our category has ever seen. Check us out and you will see we are truly twice the ice! © 2019 Twice the Ice. All Rights Reserved.